May was a very wet month here in Texas. We had lots of much-needed rain after several years of drought conditions and water restrictions; unfortunately, we also had a good bit of flooding throughout the state (although not here at our home). However, the forecast for this first week of June is all sunshine, and I'm excited about another month full of INSPIRATION! 1. (March &) April Top Five - I'm challenging myself to scrap my top five (photos or stories or events) from the previous month. However, so far I've only completed one layout from my March & April lists! 2. 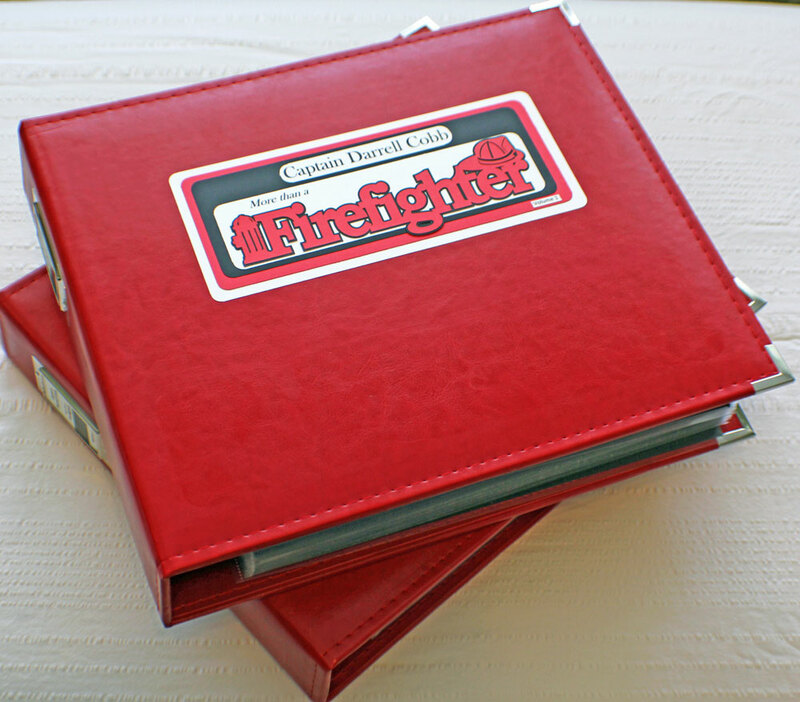 Scrapbook-For-Hire Albums - I completed the two-volume firefighter retirement project I started at the end of April. Over the course of 2 1/2 weeks, I created 144 pages. This was a FUN project. I made a video walk-through of the books that I'll be editing and sharing soon, but here are a few photos of the completed project for you to enjoy now. 3. National Scrapbook Day - Mama & Thayer joined me here for a day of scrapping, laughing, snacking, shopping, and visiting. We also Facetimed with Amy, Skyped with LeAnne, texted with Michelle, and participated in a BPC chat! 4. 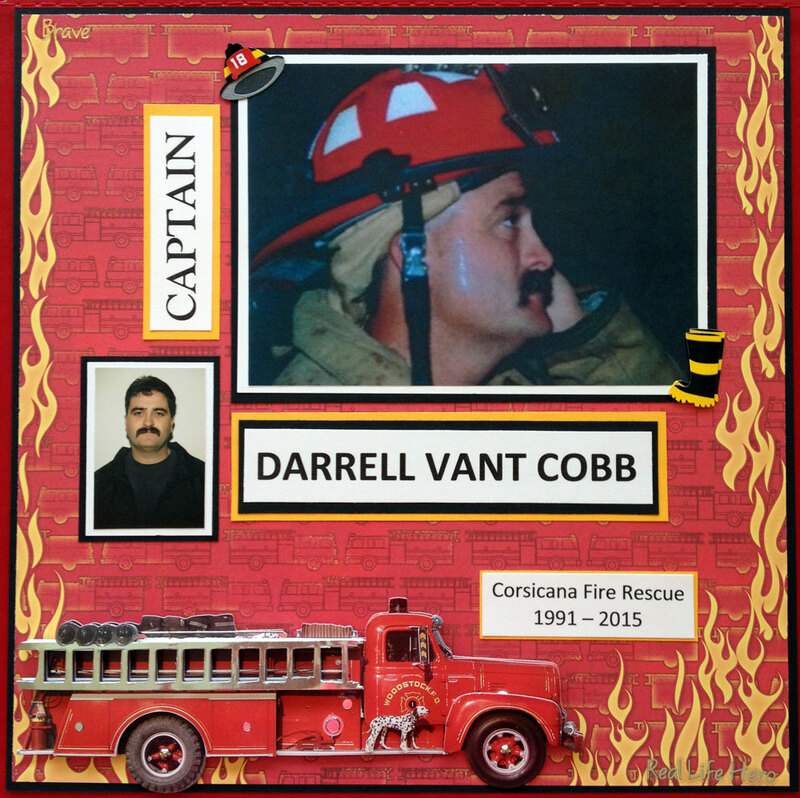 Photo Crush - I enjoyed participating in the Simple Scrapper Photo Crush free seven-day event and shared my review HERE. 5. Focus Your Craft & Soul - I didn't create a lot during Jennifer Grace's Focus Your Craft & Soul blog event, however I did follow along with all her posts and enjoyed the ideas and INSPIRATION provided throughout the weekend. 6. Road Trip - We had a fabulous time on our nine-day, 2900+ mile road trip. We enjoyed listening to audio books, visiting the Laura Ingalls Wilder Homes & Museums in Missouri, getting together with family in Ohio, watching the Tomorrowland movie, seeing Niagara Falls (which I can now check off as DONE on my 50 Things To Do Before I'm 50 list), meeting up with Karen in New York, and stopping at Abraham Lincoln's birthplace in Kentucky! I'll be sharing photos and stories from the trip in upcoming posts. 7. READING FOR INSPIRATION - I completed Part II of the Laura Ingalls Wilder course at Canvas.net and once again thoroughly enjoyed the readings and class format. I found lots of other creative INSPIRATION in May and completed 11 layouts, 1 card, and 5 gift tags. I completed my review of the non-transferring classes in my old BPC account. 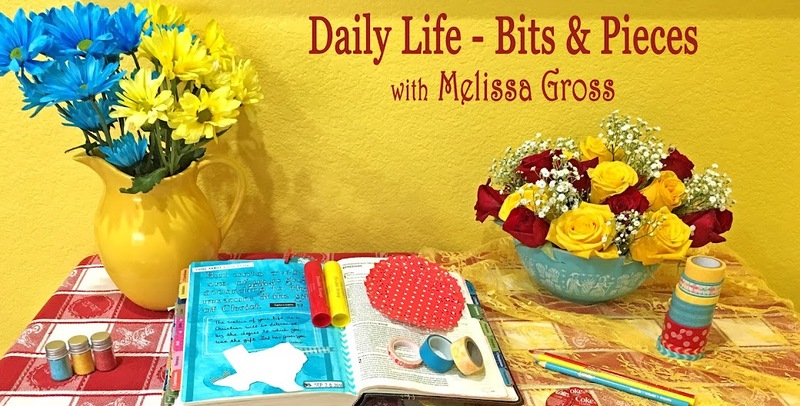 I also published 34 blog posts (+3 on the Scrappin' Goodtime blog) and listened to quite a few more Elise Gets Crafty and Paperclipping Roundtable podcasts. 1. (March & April) & May Top Five - I'm challenging myself to scrap my top five (photos or stories or events) from the previous month. Along with the March and April Top Five (that I haven't yet completed), I'm hoping to scrap these five stories from May: (1) National Scrapbook Day, (2) Starting Karis & Mason's collections, (3) Laura Ingalls Wilder Homes & Museum, (4) Niagara Falls, and (5) Meeting Karen. 2. Pocket Page Scrapbooking & More Class - I'll be teaching my newest class at Scrappin' Goodtime on the 5th & 6th. Click HERE for all the details. I'll be staying at the retreat for three days and am so excited that Mama will be with me and my friends Amy, LeAnne, Thayer and Michelle are all meeting us there! 3. 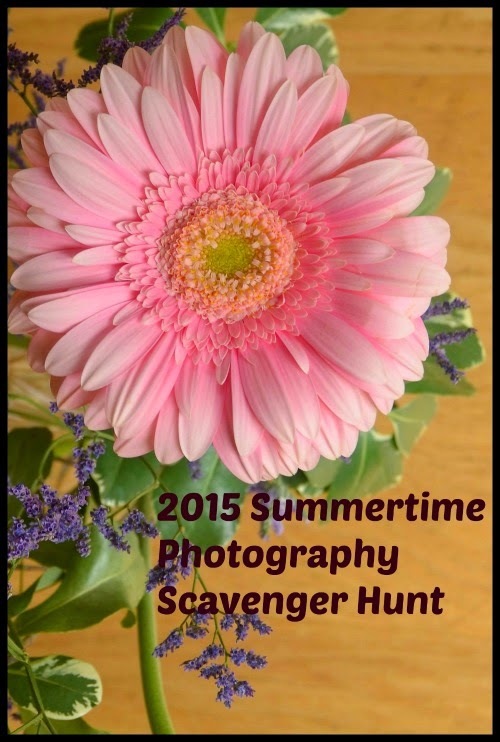 Rinda's 2015 Summertime Photography Scavenger Hunt - I'm looking forward to hunting for the items on this year's list and seeing finds from bloggers around the world! 4. Creative Live Ditch Your Day Job Class - I have signed up for a new two-day class, Ditch Your Day Job, at Creative Live. While I don't have a boring day job that I want to ditch, I am interested in hearing more about launching a career you love. The class is free during the live run on June 11 & 12, so I've blocked off those dates on my calendar as INSPIRATION days! 5. 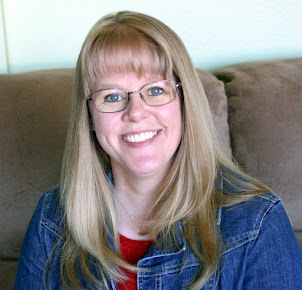 READING FOR INSPIRATION - I've just started a new book, Writing in the Margins: Connecting with God on the Pages of Your Bible, by Lisa Nichols Hickman for INSPIRATION as I continue to explore Bible journaling. What kind of INSPIRATION did you enjoy in May? What are your plans for exploring and acting on INSPIRATION in June? LOVE the pages and cover from the Fireman's Album. They must have been so pleased with the final product. Your goals for June wore me out just reading about them! The fireman album looks amazing. You really achieve so many items last month. Thanks for the inspiration! My goodness, how many hours are there in your day? I am very impressed, and inspired too; that fireman's album looks like a wonderful project. Love the Fireman's album and looking forward to the video walk through. I've already visited two wonderful places this month for inspiration and have a couple more exciting things to look forward to including my birthday, leaving work and starting my new life training to be a medical secretary! Enjoy June! I read all of your May posts but because of my back issues I didn't leave comments. You had such a wonderful, fun month! The fireman's album is wonderful!